Taking a break from wedding welcome gifts and custom corporate gifts today to announce something fun! So many of you are loyal readers of our monthly publication, The Studio Scene, so it's only right for us to offer a little extra something back to you. Of course, we already offer a discount code in each monthly edition along with plenty of gifting tips and ideas but since we love you SO much, we want to give you MORE! Effective immediately, we'll select one winner at random from our email subscriber list each month. The winner will be announced in our Studio Scene publication along with info on how they can contact us to claim their prize. 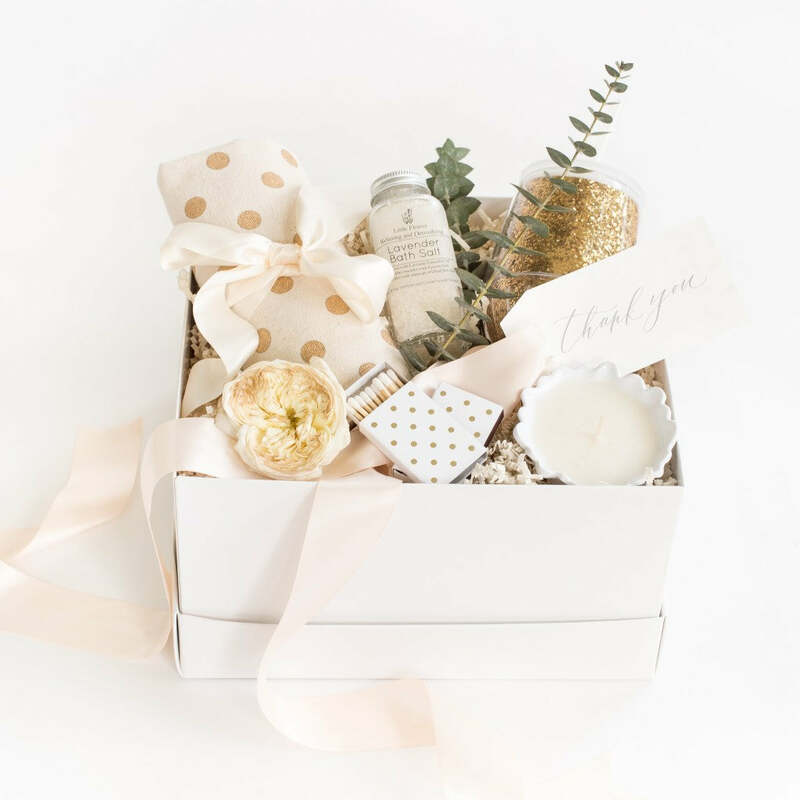 Since you probably know we love to do "gift-aways" instead of a "give-aways", each winner will get to choose a friend, client, or family member to receive the gift box. We will also include a handwritten message of their choice. Sign-up is easy! Head to our home page and simply enter your email address, first name, and last name. 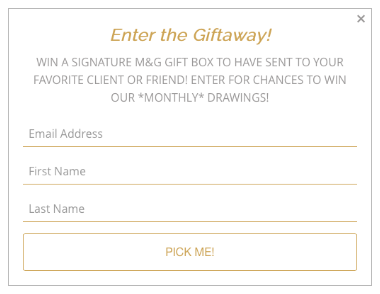 You'll automatically be entered to win month after month, as long as you remain on our subscriber list.